In order to encourage the exchange of global knowledge, Educare provides free, immediate access to its content under the principle of costless disponibility of information for the research community, persons interested in education related themes and general public. Cost-free. There are no mailing, submission, processing or publication costs for authors. Readers have open and free access to the articles immediately after published. Educare suscribes the BOAI 2002 Declaration and its following updates. 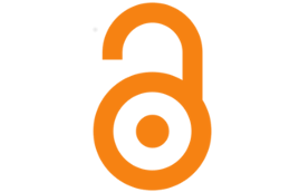 Authors and readers can, costlessly, download, read, archive, copy, print and search for articles without any previous authorization from the Editor(s) or auhtor(s). They can, as well, distribute the paper's final approved and published version (post print) only if it is done with non-profit intentions, does not lead to the creation of derivates without previos authorization and mentions the source of publication and the documents authorship.